WGT Kitten Ball - "Meow, meow, meow." 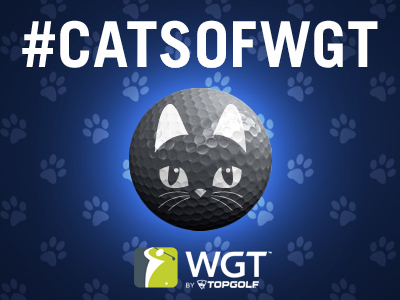 Translation: Get this new virtual golf ball on WGT, featuring an adorable gray cat face and meows to cheer you on with every shot! Inspired by one of our own, Gouda the cat. 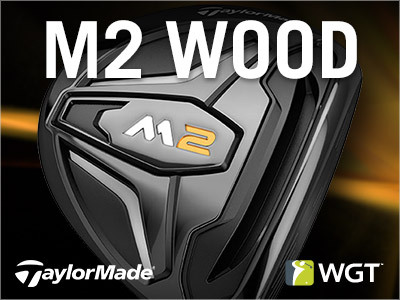 TaylorMade M2 3 Wood - Get more consistent speed, distance and forgiveness with the new TaylorMade M2 3 Wood on WGT. Unlocks at Level 8, Level 26 and Level 69 in the WGT Pro Shop. 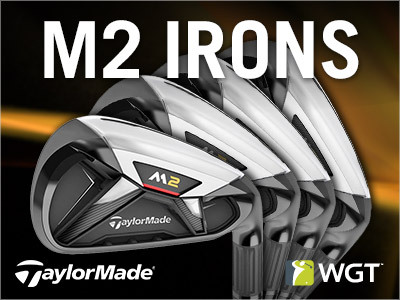 TaylorMade M2 Iron Set - The new M2 virtual irons from TaylorMade provide more distance while maintaining height on your shots. Unlocks at Level 10, Level 27 and Level 68. 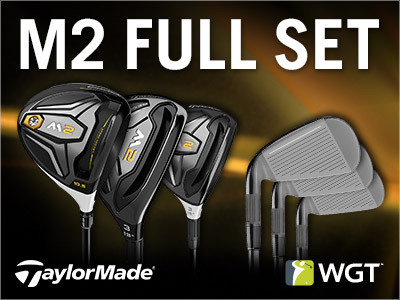 TaylorMade M2 Full Set - This full club set includes a virtual driver, 3 wood, hybrid and iron set, to give you more distance and height on your shots. Unlocks at Level 10, Level 27 and Level 69. Wind Speed - Wind settings were not changing in the Topgolf game mode, which has now been fixed. Join Country Club Dialog - Fixed issue with blank pop-ups being displayed when some players were attempting to join a country club. Country Club Pass - Some players experienced errors when trying to forfeit a game while the Country Club Pass prompt was visible. 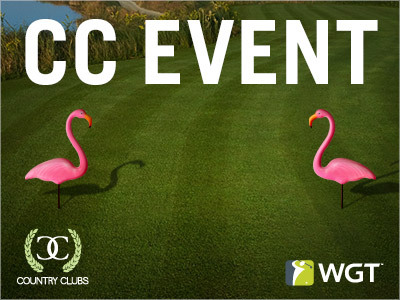 Compete for your country club in this weekend's CC Event #28, going on NOW through 7/24. We're bringing everyone's favorite lawn ornament to WGT this weekend, in the form of these flamingo tees and flags! Compete against other clubs for club status and in-game rewards, including these new tees and flags. The weekend is near! Finish the week with 3 FREE Callaway Chrome Soft virtual golf balls. 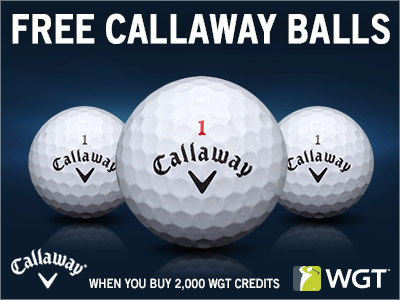 Today and tomorrow, buy 2,000 or more WGT Credits and you'll get 3 free Callaway Chrome Soft virtual golf balls. These premium balls from Callaway give you more control, distance and a slower WGT swing meter. *Special offer for players that buy 2,000 or more WGT Credits today through tomorrow (7/21/16-7/22/16) on WGT, get 3 Callaway Chrome Soft virtual golf balls (L33+). 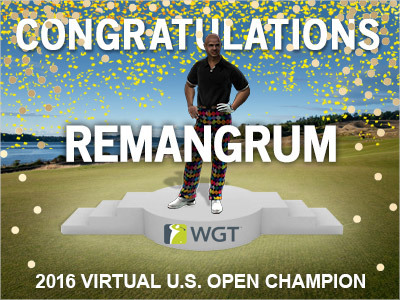 Congratulations to this year's 2016 Virtual U.S. Open Champion, Tour Legend remangrum. Each Virtual U.S. Open features stiff competition in the Championship round and this year was no exception. The Level 104 remangrum (USA) edged out the next three finishers by one and two strokes. This included the reigning champion poldimaier, who won back-to-back titles (2014, 2015) and finished this year tied for third place with fmagnets, with a final score of 228. Champion tier UBCLU546 (USA) finished in second place, a stroke behind first, with a total score of 227. Throughout the summer, WGT players competed on Oakmont in various Virtual U.S. Open tournaments hosted on WGT, experiencing the same challenges, triumphs and struggles as players did in this year's U.S. Open. Congratulations to all of the tournament leaderboard winners. Eligible leaderboard and sweepstakes winners win a $500 USGAshop.com Gift Card prize to spend on official USGA merchandise, plus a lucky sweepstakes winner for the Virtual U.S. Open Qualifier tournament will also win a grand prize trip to next year's U.S. Open. Ferocious T. Rex Says, "Play CC Event #27"
We're going old (and we mean OLD) school this week in CC Event #27, featuring these T. rex tee markers and flags. 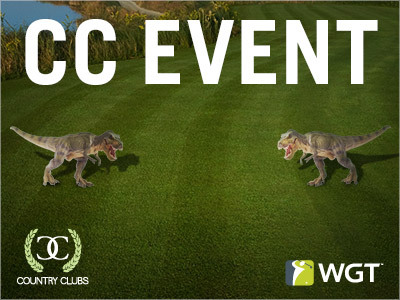 Compete against other WGT Country Clubs today and tomorrow for club status and in-game rewards, including these ferocious dinosaurs! 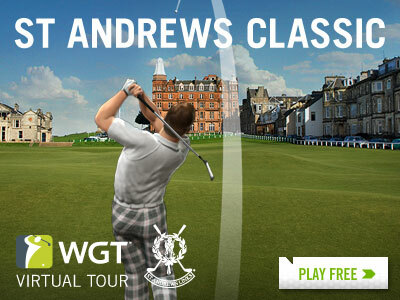 The 2016 WGT Virtual Tour continues in July with the St Andrews Classic! Compete on historic St Andrews in the first tournament of the Jul-Sep Quarterly Season, including an unlimited play first round (7/1-7/26) and a single-play second round (7/27-7/31). The top 70 combined scores in each tier will split a 100,000 WGT Credit purse and NEW this year, monthly tournament winners will display a crown icon next to their player name, to let everyone know they're a current reigning Virtual Tour tournament champion!